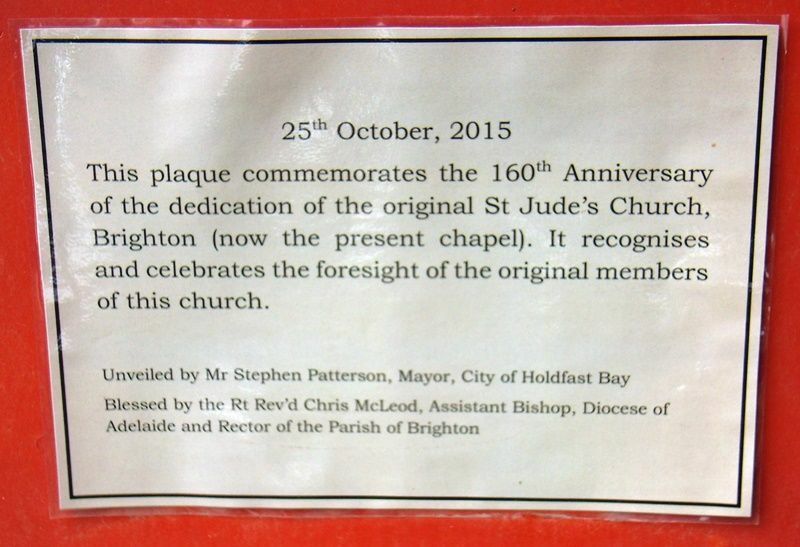 A plaque commemorates the 160th anniversary of St Jude`s Church. This plaque commemorates the 160th anniversary of the dedication of the original St Jude`s Church, Brighton (now the present chapel). It recognises and celebrates the foresight of the original members of this church.